What’s good winter biking weather? I say, cold is no problem, after all, it's cold no matter what you do. But ice (precipitation followed by below zero temperatures) is where you should consider another mode, or take Bike Share Toronto so you have the option to be multi-modal. I sometimes take transit to work and walk home upon fresh snowfalls and when it’s icy, and leave my bike at work if I need to. earmuffs/headband + a helmet makes a decent winter hat! Some people have winter “beater bikes” (usually mountain bikes with wider tires) which they don’t mind getting wet and snowy, but I only have one upright city bike and I use it for everything, including winter riding.I have a shed to protect it and I’d recommend a tarp at home if you don’t have sheltered storage. You should also wipe your bike down with a rag every now and then to get the snow and water off. I was gifted special spiked tires for extra grip, but Toronto winter is pretty mild and they are cumbersome to take on and off, so I’ve found they're not necessary. How do I know what lanes are cleared? My favourite winter webpage is PlowTO. It shows you in real-time after a snowfall what roads have been cleared and how long ago, and they tweet out their progress regularly. The City is also dedicated to clearing the Winter Cycling Network as first priority with arterial roads. This includes the cycle tracks, painted lanes, contraflows, and trails identified on this map (which now includes the snow-clearing schedule). If you see a bike lane within the network that hasn’t been cleared (within a reasonable time period after a snowfall), the City’s Cycling Department recommends taking a photo and emailing it with the location to 311, asking them to direct it to the appropriate work zone supervisor. If you live outside the network, I’d suggest adjusting your route after a snowfall or freezing temperatures. Quiet neighbourhood streets which are great most of the year are less likely to be dry and clear in the winter. Also, unlike separated bike lanes, painted bike lanes next to street parking tend to get messy because people are driving through them to get to the parking. While arterial roads can be busier, they tend to be more reliably salted. I hope these tips will help you stay warm and keep your path clear, and to see you on our Annual Coldest Day of the Year Ride! If you’ve got tips to share or have any questions, don’t be shy! 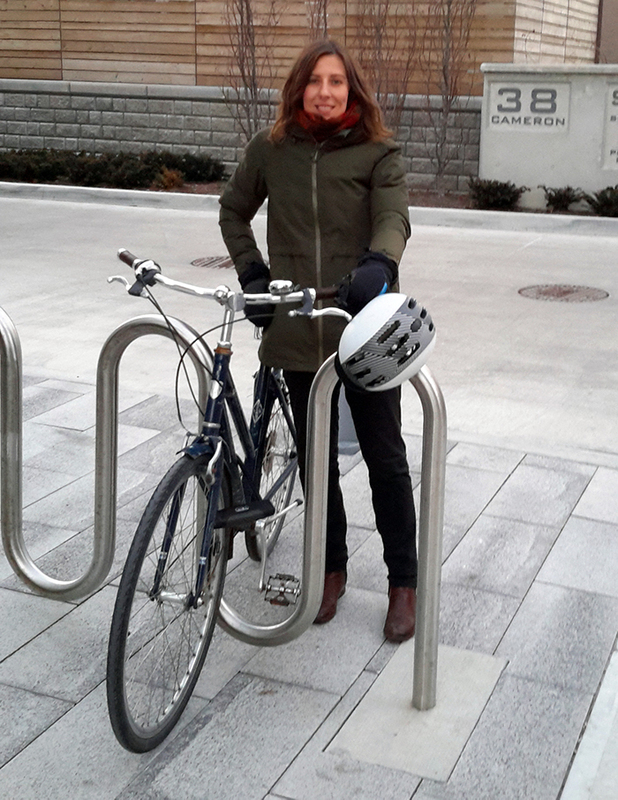 Tag us @CycleToronto and include #BikeWinter or drop us an email.